Josh Sprague is a luxury real estate agent with Lakes Sotheby’s International Realty in Edina, Minnesota. Josh listened to our needs and found us our “forever” home. From school districts, to bike trails, to parks, Josh equipped us with all the knowledge we needed to make the right decision. josh is truly the best real estate agent in Edina! I was on the open house circuit in Edina for over 6 months, and Josh was by far the most informed and knowledgeable. Josh is very personable and hard working. He made a promise to find my family the “perfect” home where I wouldn’t have to settle for something less. He delivered on that promise. Josh really knows the Edina market! He made the sale of our home easy, with good recommendations to prepare the home for sale. With his expertise, we sold our home in 3 days and moved into our dream home. Josh really looks out for his client’s best interests. We worked with Josh on the purchase of our first home. His knowledge of the area is encyclopedic, and his attention to detail and ability to spot things that a prospective buyer may not be thinking about or know to look for were invaluable. His approach pays real dividends for his clients! We worked with Josh to buy a property for a tear-down in Edina and he was able to ID the right property for us even before it went on MLS. He knows this market inside and out! Best real estate agent in Edina, hands down. Josh was great to work with. He knows the local market extremely well, his timely responsiveness is unmatched and he knows what it takes to get a deal done. We were very satisfied with the whole process. Spring is a time for renewal. It’s also a time for selling homes! The seasonal spring market is exceptionally robust here in Minnesota, and a great time to sell a home. But before most sellers enter the marketplace, they want to know the answers to these questions (and more! ): How is the housing market actually performing? 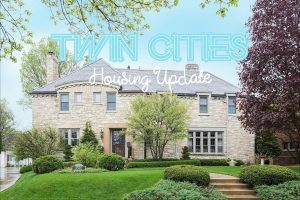 How does my city and neighborhood compare to overall Twin Cities market? Is this a good year to sell my home? What are the risks of waiting? Here are the answers to those questions from the 2018 Annual Housing Report. 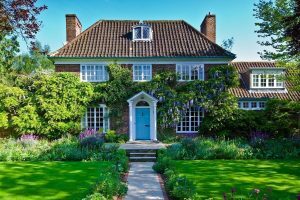 Selling a Minnesota home in the spring time takes the right expertise and advice, in order to maximize the sales price for the home. Generally, Minnesota sales peak in June, making the first few months of the year integral to preparing a home for sale effectively. Here are our top Minnesota spring home selling tips for maximizing equity when selling in the spring market. 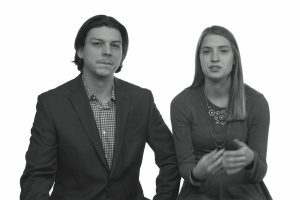 Hear a real-life story from first time buyers Alex & Ally about their home buying experience, their impressions of the marketplace, and what they’re looking for in today’s homes. A great article for buyers and sellers alike!